(Newser) – An 11-year-old girl who beat cancer as a preschooler killed herself last month after what mom Wendy Feucht describes as unceasing bullying, CNN reports. Bethany Thompson, a sixth-grader in Cable, Ohio, had been free of cancer after undergoing radiation therapy for a brain tumor at the age of 3, but the treatments marred her nerves, leaving her with a "crooked" smile. That, along with her curly hair, led to the bullying against Bethany, particularly by a certain group of boys—and on Oct. 19, after telling her best friend she was going to end her life, Bethany hunted for and found a loaded handgun on a high shelf inside her family's home and shot herself before her friend's father could contact Bethany's mom, says Paul Thompson, Bethany's dad, per the Columbus Dispatch. Parents of bullies are usually jackasses in one way or another. 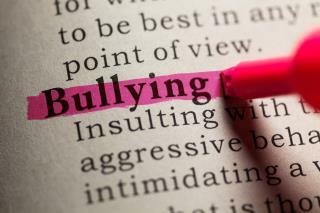 Find a bully and you'll find a crappy parent or older sibling. Don't blame it on the kids, Trump would have made fun of her as well.